Sources in the ruling TRS party said that chief minister K. Chandrasekhar Rao is expected to expand his Cabinet in January. Hyderabad: The Congress Friday hit out at the K Chandrasekhar Rao-led TRS government in Telangana over “delay” in the process of newly-elected members of the assembly taking oath as MLAs. “In the history of India, can you find any state where even 18 days after declaration of results, MLAs have not taken oath?,” the Congress in-charge of Telangana affairs, R C Khuntia told PTI. “It requires the attention of the nation that even 18 days after results have come, MLAs have not taken oath. The Ministry has not been formed. How is at that even after 18 days, nobody is taking oath”, he asked. Rao was sworn in as Chief Minister on December 13. The Cabinet is yet to be expanded. 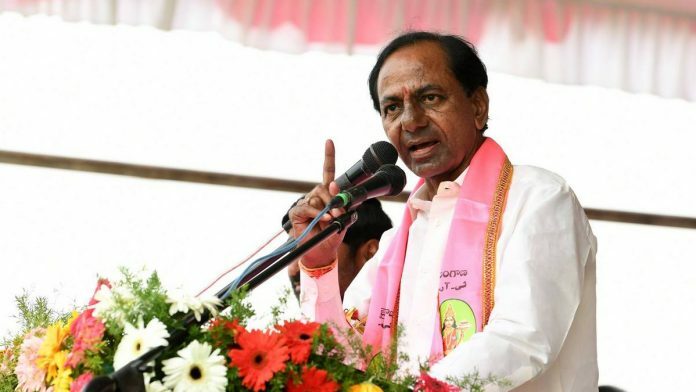 TRS (Telangana Rashtra Samiti) sources said the Chief Minister is expected to undertake the exercise of inducting more Ministers in January first week. On December 14, the TRS chief appointed his son K T Rama Rao as the party’s Working President. The move came amid firm indications that Chandrasekhar Rao is keen to play a role in national politics.